Wow what an open day! 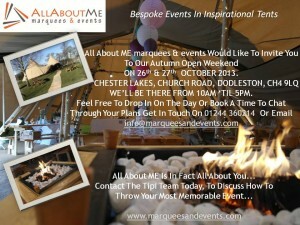 Last weekend the tipi team enjoyed welcoming so many people into our All About Me marquees & events teepee open day. We wanted to say a big thank you for coming along and joining us at Chester lakes and seeing our tents in all there glory. Last weekend the All About ME team turned into All about you, where one 2 one consultations took place to discuss your events, and making your dreams a reality. 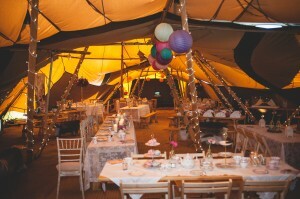 British weather really did play its part on the weekend with a mixture of sun, rain, and “The Big Storm”, however what what clear to see is no matter what the british weather throws your way, on your day, the Tipis will stay as beautiful as ever and provide that stunning venue for you event. 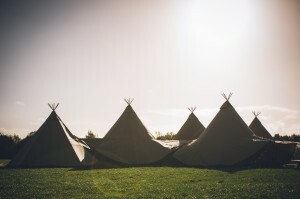 While our tipis provide that blank canvas for any events such as festivals, weddings, corporate and parties, the way they looked last weekend was down to the help from our dedicated suppliers. We want to say a big thank you to Pretty Little Trio Vintage China Hire, Andrew Southcott Catering, Chester Lakes, Living Colour Floral Designs, Lucy Greenhill Photography, All About Goodies and Bunting Queen. The Big news is finally here….. All About Me Marquees & Events would like to announce the launch of there sister company All About Goodies. Specialising in all your party essentials, your first stop for that party favourite, the candy cart.